Welcome to the Rushcard complaints department brought to you by HissingKitty. Experienced poor customer service? We make it easy to file a formal complaint against Rushcard online. Simply use our free form and your feedback will be instantly forwarded for review. Need to contact the Rushcard corporate office? We have the mailing address, phone number, and email address listed below. I called in April 12.2019 about me loosing my card. The only option on the automated system was to cancel the card. I pressed option 3 as prompted. An agent answered and asked me my card number or social security number, date of birth, phone number and address. I was trying to explain to the agent that I no longer live at the address on the account. That I needed the replacement card to be sent to my friends house or my job. They said they couldn't do that unless I changed my address by faxing in a letter of request.. I asked what items did I need to do that. They said I needed a photo id with my current address on it. I told the agent I didn't have a current address I'M homeless. She then asked me for a utility bill in my name. I once again tried to explain I'm homeless and don't have housing or any bills in my name. I said what am I suppose to do. The supervisor told me to get a new photo id. with a current address on it. I don't understand why rushcard cant send a new card to the address I requested without all the drama. Before the agent could even answer my question I was asked a serious of questions just to prove it was me but yet I have to send in additional proof that its me. This is outrageous and poor customer service. I called back 2 hours later stating I found my rushcard and the agent couldn't unblock my card. I was told I was told I should of asked to put it on a temporary hold. I told the agent that wasn't a option I was told about. I should have been told all the options before I made the choice. i have been a cardholder since 2012 and I no longer wish to be a member. I just want my replacement card so I can get all my money off my card. I will no longer be getting my direct deposits to this card either. ing for a script and cannot say anything different. Not even a proper response to question. Very frustrating talking to someone in another country. And after today, I AM OFFICIALLY DONE WITH RUSH CARD!!! On March 13, 2019 I got breakfast and must have left my card or dropped it. At lunch, I went to look for my card and I could not find it. I checked my transaction history and noticed 3 unauthorized charges. I called right away. I had my card cancelled and requested a new one. I also requested for dispute documents to be sent to be via email.I received the documents March 16. I completed and faxed back on March 19, 2019. I placed a call to confirm they were received. And I was told by the agent dispute seemed strange as I had visited 2 of the 3 establishments before. I explained I lost my card in Canoga Park, my neighborhood. Whoever picked it up, picked it up in canoga park and went to local places. 2, that I so happen to visit frequently. I already felt judged and accused of lying. I asked when I could expect my provisional credit and he said March 29. Woke up Morning of March 29, checked my account and there were no credits for charges. Called Rushcard to inquire. This is where the headache starts. I was told March 26 by dispute was denied due to no error found / no network error found. I was told they completed an investigation and determined to error. I asked about details of investigation. What exactly did they find to determine there was no error. No explanation provided and I am livid. I asked to speak with a supervisor or someone in dispute department and the rep refused. After numerous request. Finally she connects me to an account specialist who just as unhelpful as her. They have no real clear answer to your questions. I had to ask for corporate information. I will get my story out to everyone who will listen. This treatment is not ok. 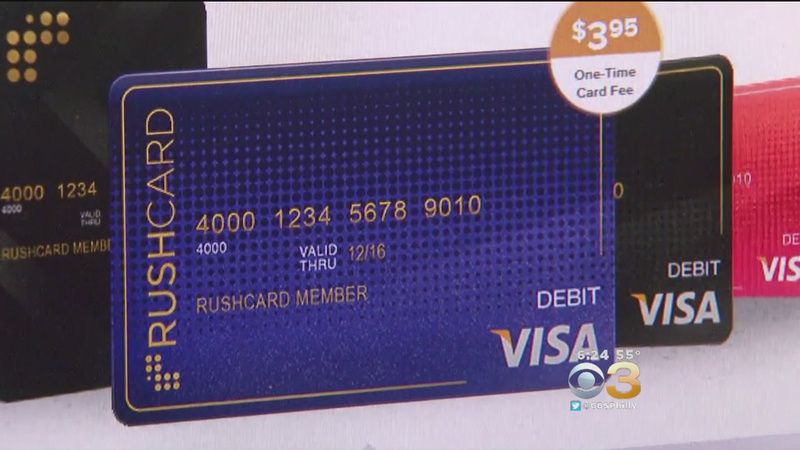 Rush card does not care about their customers. I do not feel like my money is safe with them. This has given me the most uneasy feeling. That someone can violate me, steal from me and my financial institution does not have my back. SO disappointing. My anxiety is through the roof, i am having panic attacks. This is just horrible. Somebody please help or refer me to someone who can. They have been holding my money hostage over a phone number I had 2 years ago. I wish I never even heard of this company. Company asked for documents to send me a replacement card I sent to them three times and no results.when I requested this i had already changed my address and they still sent it to the old address i want my money from this company. This is Mr.Reed Larry (larryjuic83@gmail.com) and this stupid card is not working and I have been trying to call ya'll to no avail. My pin number is not what I put in a request for and some body at y'all company is stealing money off my damn card. My new contact number is 573-482-8747... somebody need to contact me asap to fix this mess or be sued. I have been on hold for about two hours now and have not spoken to no one. Rush closed my account without informing why. They sent me two checks. 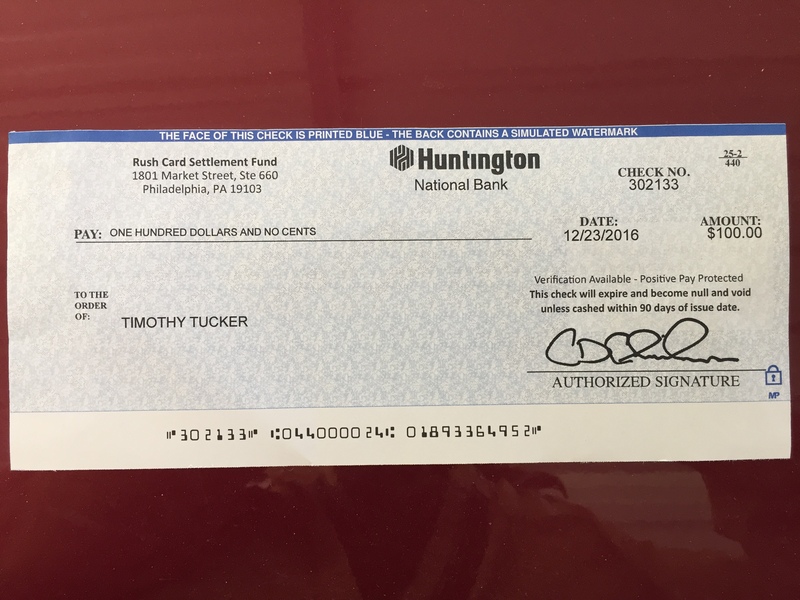 Every check cashing place I went to wouldn't cash the checks. I been wrestling with them for over 2yrs trying to get my money. What can I to get my money? CUSTOMER SERVICE IS HORRIBLE. I WANT MY $103.99 BACK!! BEEN DEALING WITH THIS SINCE AUGUST 2018. IVE SENT ALL THE INFO/PROOF NEEDED/REQUESTED/REQUIRED TO GIVE ME MY MONEY. SO WHY HAVE I NOT BEEN GIVEN MY MONEY!?! I contacted Rushcard on 11/1/18 and requested that my account be closed out and my funds mailed to me due to poor customer services practices by Ruchcard customer service. I have been a member with Rushcard over 10 years. I spoke with a customer service representative and a supervisor on 11/1/18 and was assured that a request was being sent to the main office to close my account and send me my funds. I then spoke to another representative on 11/6/18 (Jeff Employee Id# 2058405) and was told that he would send another request being nothing had been done. I called yet again today 11/9/18 and spoke to customer service and a supervisor by the name of Coco (employee ID# 073925) and was told yet again that another request was being sent and it would take an additional 7-10 business days. Since this ordeal started it has now been 6 business days and nothing has happened. I will be filing a complaint with the Better Business Bureau and also look into further action if this matter is not rectified by 11/16/18. I have been patient enough and I am tired of the level of ineptitude and incompetence that has been exhibited by your employees and supervisors. You are holding MY money and I want it back so that I can cut ties with your organization completely. I demand a response regarding this matter immediately. You all do not even get 1 star from me due to your extremely poor service. I will not get another Rushcard again!! They keep your money, take money out your account without you knowing. I am reporting them to the Social Sercurity Office about holding government checks. THEY ARE SCAM PLEASE DO NOT GET A RUSHCARD CAUSE THEY WILL RUSH YOUR MONEY OUT YOUR ACCOUNT AND ACT LIKE THEY DON'T KNOW WHAT'S GOING ON!!!! I am not and never have been a holder of a Visa Prepaid Rushcard, however for months and months my email address is wrongly being bombarded with Rushcard balance updates, transaction details and numerous Rushcard incentive emails. I am a UK citizen and live in the UK. I am unable to call US "free phone" telephone numbers from the UK to speak to customer services and all emails I have sent (the last on July 15th, this one to agent@rushcard.com as advised on the Rushcard website) have gone unacknowledged and unanswered. I would like my email address removed from Rushcard systems with immediate effect to stop receipt of unwanted and inappropriate emails relating to what must be somebody else's Rushcard. Why it is not possible to unsubscribe from updates that I never subscribed to I do not know. 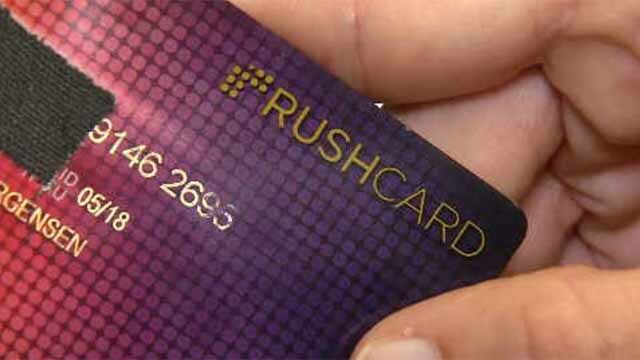 Rush card is full of sh-# they stole my money and refuse to give any of it back !! I am just now receiving a settlement check from RushCard that is dated 12/23/16. I am needing another check issued to me with a valid date. I have tried to contact the corporate office about this matter, but have not been successful. They are very unprofessional and no help at resolving the answer to your question. They held my money for a week and a half I spoke to an employee about the specific check I was expecting to receive and the amount. They didn't document they spoke with me and sent my check back now I have to wait a whole nother week. I would not advise rush card to anyone. I got a email that a rushcard settlement going out. What's up with that I tried calling but I got the same person over and over. On October 13, 2016 I reserved a stay at an hotel resort. On this stay I had a free room with an $40 pre authorities deposit (meaning you get back once you check out) I check out on October 14, 2016 at 7am. I was told by hotel staff that the funds will be released. I waited 2 day Rush never made my funds back available on my car stating I should check with the merchant and I did. The merchant stated on October 15, 2016 that they release the $40 back. I call Rush once again then Rush customer care stated that they need the merchant to fax over confirmation that they wasn't going collect because it's showing in pending status. I then call the merchant on 3 way with Rush Rep. They agree to fax documents and Rush promises me my funds will be place be once the receive fax and they receive fax. Now supposedly the system want allow them to manually put funds back on card it actually make you wonder what type of prepaid service is this. I will never be rush card member every again once these issues are resolve been member since 2007. Bye Rush this makes you feel that they just like Well Fargo stealing people money. I had unauthorized transactions on card ending 0329 from merchant Planet Fitness a few months ago. I filed a complaint & asked for a new card number with a new account number. 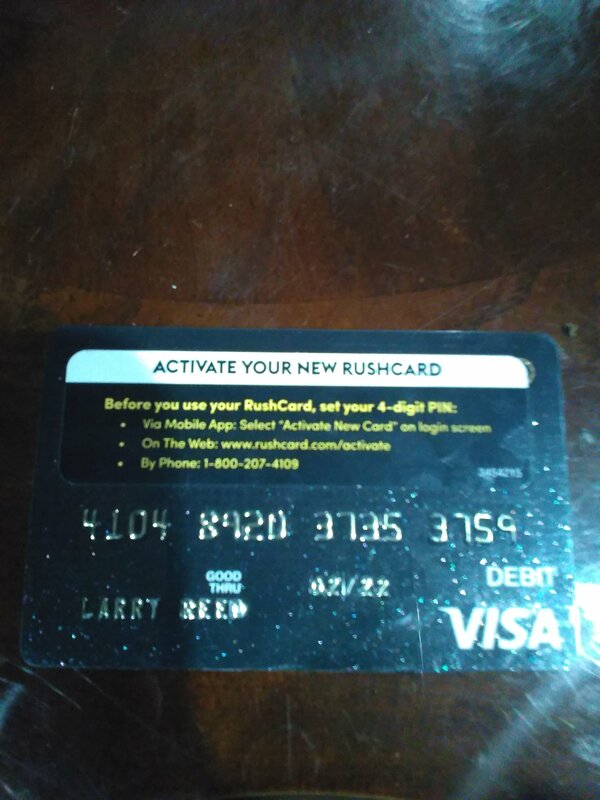 Unfortunately, Rushcard sent me a new card with a new number, but it had the same account number. The Rushcard representative assured me that the merchant couldn't bill my new card ending 8509, because it had a different card number. To my surprise, the merchant billed my new card ending 8509 another 24.95, so I filed another dispute & filled the dispute form in a timely manner & mailed it in to Rushcard. After a month or so I followed up on my claim & I was told no information was received. The thought of the Company using Russell Simmons as their face is very egregious. I feel that the call centers utilized for customer service and support are just occupying time and space. While I am typing this, I have been on a call for 1:04:30. Yes, that's 1 hour, 4 minutes, and counting. I bought an item and found out the item was defective and took it back the same day. The company's bank released the funds the same day. Rush said it would take 3-5 days. They said that they would need to speak with the merchant. The merchant was on a 3-way call and verified. The company told that it would take up to 2 days for the refund to process. Fast forward to today. Now they're telling me that I have to wait 90 days? 3 months? Really? I save my time with Prepaid Visa card in paying my bills and online shopping. Prepaid Visa card that lets you shop, get cash at ATMs, pay bills, buy online and get Direct Deposit. No credit checks. No overdraft fees. After ID Verification, your card arrives with 7 - 10 days and you can load your cash in the card. You can either select Unlimited plan or pay as you go plan as per your affordability. Tax refund is faster and there is no waiting in check-cashing lines. Log on and apply for the Rushcard immediately.